Mrs. Hankinson's Class: Spiders and Bats! In science this week we are learning about animals and understanding different life needs and physical characteristics. We teach this unit several times throughout the year, focusing on animals for that specific season. So, we are learning about bats, owls, and spiders this week! The children are all reading a nonfiction selection in their reading groups to continue to build on their understanding. Here's a look at our week ... well, actually, just today! With the anticipation of Hurricane Sandy, I tried to cram as much as possible into today in case we miss school! Our poem for the week; check out Can Teach's website! 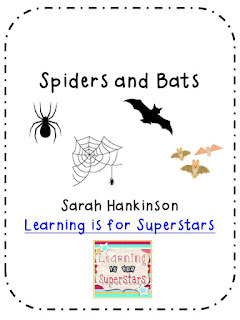 Tomorrow we will be reading and putting together our own spider booklets. I just love Teacher's Helper books! And as a thank you for reading this very long post, a freebie! Please check out the spiders and bats activity. The bats section includes a section using Stellaluna. If you download, would you please leave a comment? I'd love to know how you could use this in your classroom! Thanks for the fun freebie! Glad to be your newest follower. :) Saw a comment you made on Mrs. Stanford's post. 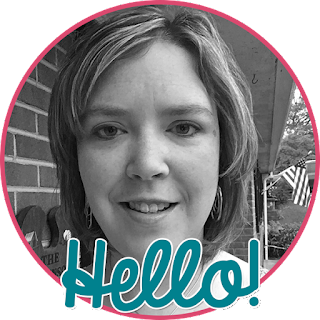 Just came across your blog through Sara at Miss V's Busy Bees giveaway. I'm glad I did too, because I teach first grade also.